VeriCite DocumentationUser GuidesVeriCite Help VeriCite LTI Student HelpHow do I download my original file submission from VeriCite? Your original assignment file submission will be downloaded to your computer. Zoom: Your original assignment file submission will be downloaded to your computer. 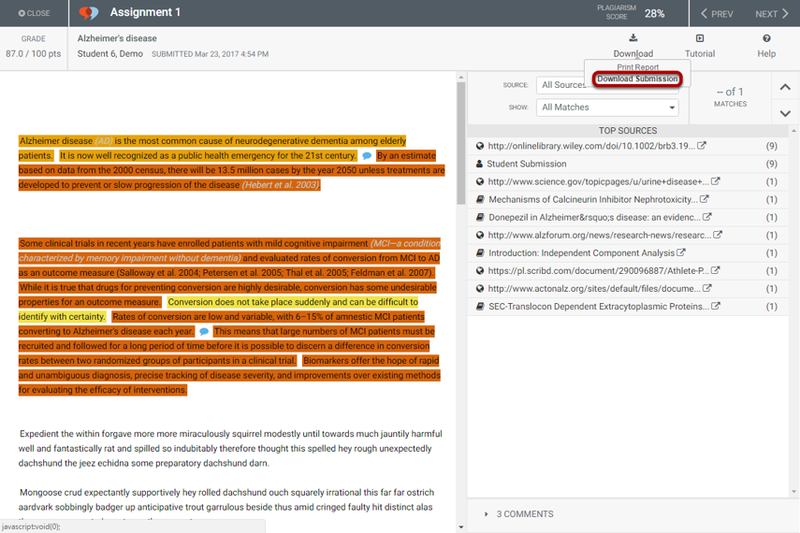 Your original paper submission will be downloaded in the same file format you uploaded upon submission. Note: If you submitted your paper via text entry (or copy and paste), it will be downloaded as an html document. Prev: How do I print a VeriCite report? 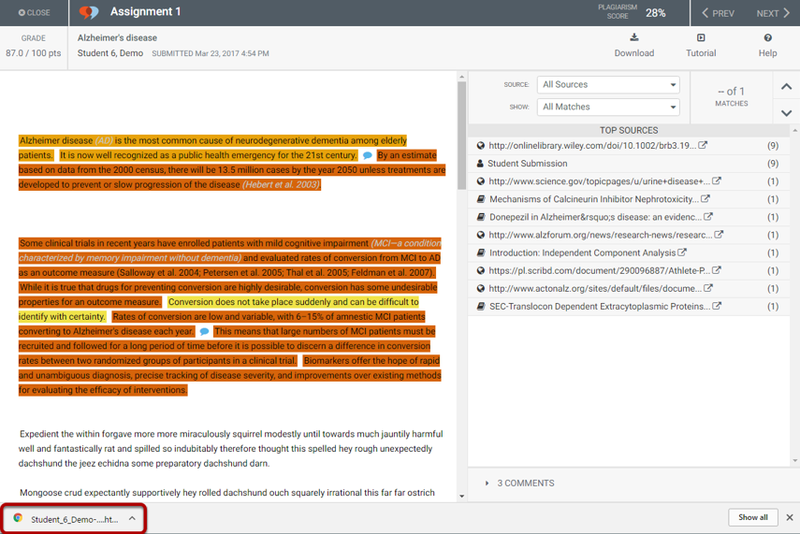 Next: How do I view instructor comments in a VeriCite LTI report?